SH Consulting Group (SHC = Software Hardware & Consulting) was founded in May 8 of 2013 and we just had our 2 year anniversary. We attempted to keep the company simple, light and transparent and somehow was worked through our cash flow issue. In our 3rd year SHC remain fluid but was able to post profit in US and Japan for the fiscal year 2014. We addressed the cash flow issues within 2013. I am so incredibly happy this day we are here. We have to thank our customers ranging from a North American system product startups to a global industrial research companies. 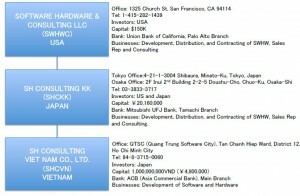 SHC is truly living up to the name Software Hardware & Consulting. One of our close friend told us that we should change the name to Software Hardware Confluence but we have not done this YET. Our customers are frequently North American startups with their own hands-on technologists and have their own engineering team, philosophy, engineering process, programming style, development infrastructure, and documentation standards. SHC today exists because our engineers are liked by our customers’ engineers in North America. 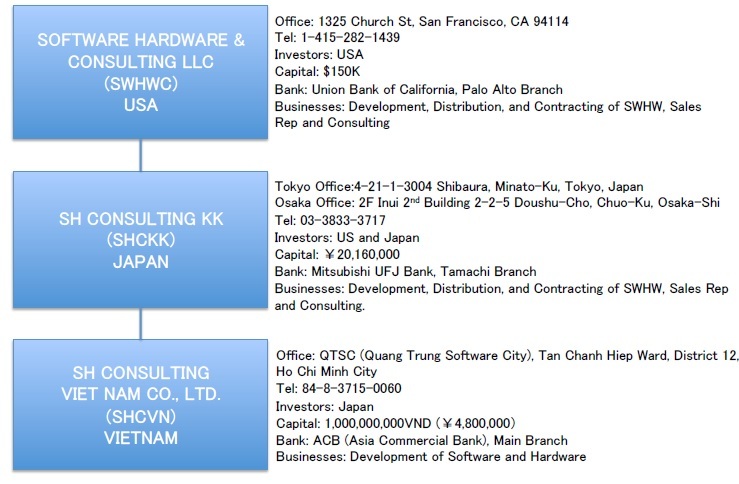 SHC has entities in San Francisco, Tokyo and Ho Chi Minh City. Each location has engineering. All of our regions are making specific contributions to our service.